Ada pertanyaan untuk The Aiyapura Bangkok? Jika apa yang Anda cari adalah properti yang terletak strategis di Bangkok, pilihlah The Aiyapura Bangkok. Kehebohan pusat kota terletak hanya 2.2 Km dari sini. Lingkungan yang terawat dengan baik serta lokasi yang berdekatan dengan Wongwian Yai area, Perfect Shirts Tailor, Wat Intharam Worawiharn memberikan nilai tambah untuk properti ini. The Aiyapura Bangkok juga menawarkan berbagai fasilitas untuk memaksimalkan pengalaman menginap Anda di Bangkok. Properti ini menawarkan sejumlah fasilitas di tempat untuk memuaskan segala jenis tamu. The Aiyapura Bangkok memiliki 135 kamar yang semuanya dirancang dengan cita rasa tinggi. Banyak di antaranya memberikan kenyamanan seperti ruang keluarga terpisah, akses internet - WiFi, akses internet WiFi (gratis), kamar bebas asap rokok, AC. Sepanjang hari Anda dapat menikmati suasana menenangkan dari pusat kebugaran, sauna, kolam renang luar ruangan. The Aiyapura Bangkok adalah tempat menginap ideal bagi para wisatawan yang mencari pesona dan kenyamanan dari kota Bangkok. Staff here is a bit awkard ! Good gym and swimming pool though! The location is no good if you are into pubs and bars ! There isnt any around here! But closer to wongwian yai bts as it takes only 5 min! The hotel looks old but in this price you can get this ! Nice, quiet, reasonably clean hotel. You get to use the gym and pool (which is huge) for free. There is also a monthly rate available. Wifi is slow sometimes. The neighborhood is great, not a lot of tourist, instead friendly Thais, decent, cheap food and close to BTS. 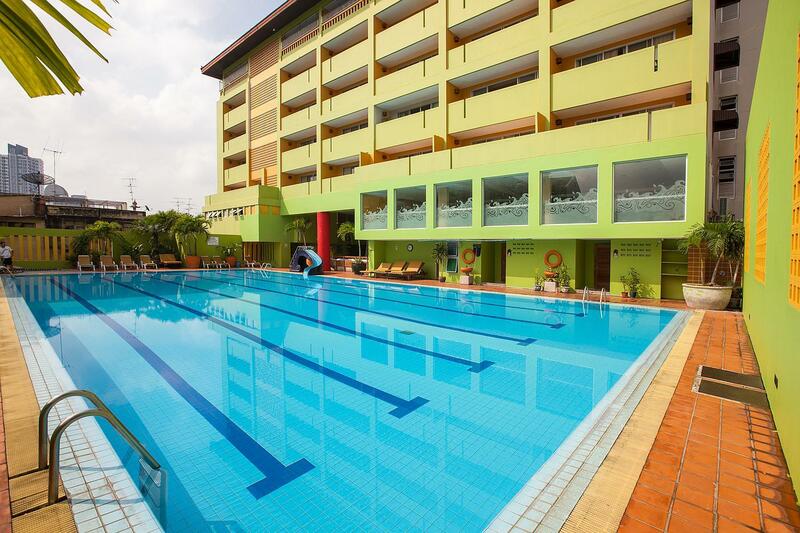 At the low price point for the standard room, it is hard to find a place with as many facilities in Bangkok: 25m pool, gym, airco, fan, spacious room, table, chairs, full size fridge, water boiler, kitchen sink. This place must have been paradise, a few decades ago. There seemingly hasn't been much maintainance ever since. There is a weird smell to the place and unwanted critters have been spotted. Not a place for the squeamish, but it'll be hard to find a place where you'll get more bang for your buck. 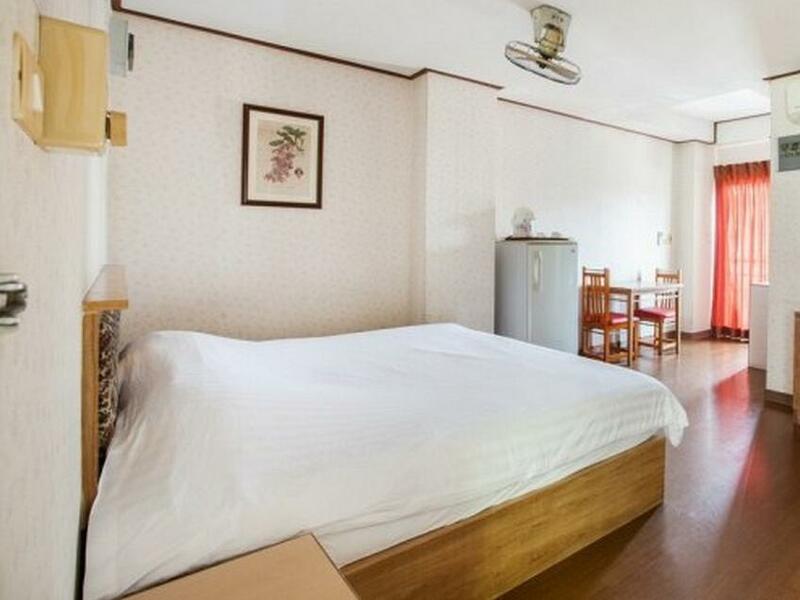 It’s like an apartment room with full facilities. It’s very close to the BTS station. Nice stay. Senior woman on reception unfriendly. To get to pool you have to walk through car park ( pool is above it oddly enough). Room dated/tired. Cockroaches in bathroom. Mad inconsiderate couple next door could not be controlled by staff in the early hours. There are much better locations too. We booked this hotel due to it being cheap and having a pool as we wanted to be able to have a relax day by a pool. I was a-little bit skeptical due to so many bad reviews, however our room was really nice. We had a spacious shower with hot and cold water, provided with toiletries, bottled water, fridge, hairdryer, tv, air-con, fan and free WiFi. You also have use of the pool and gym free of charge. Our room was clean and very big. The receptionist was a-little bit rude upon arrival but the rest of the staff we interacted with were really lovely. We were also able to check in early. 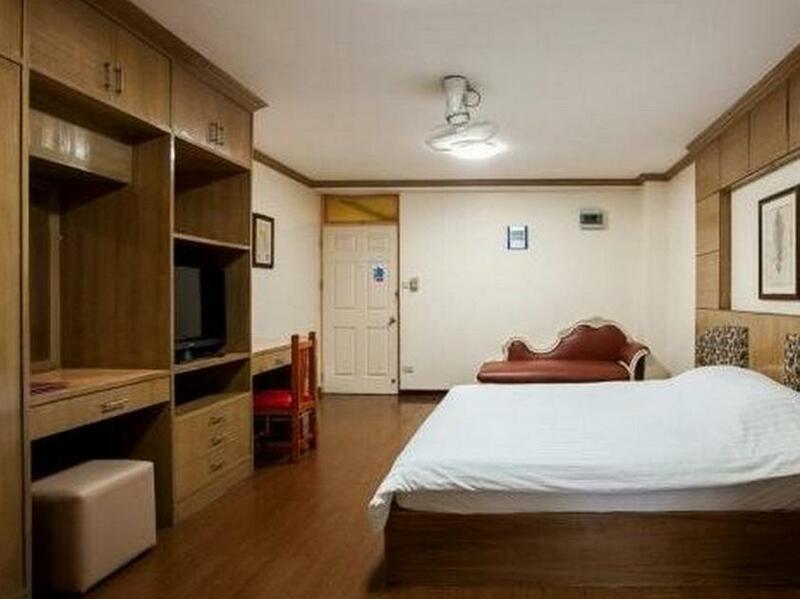 This apartment complex/ hotel is located close to the BTS. There is a Top's Express and Tesco Lotus Express within walking distance. The reception is fast and efficient with the checkin process an we were in our room within 5 minutes. There was a problem with the comforter and bug bites the first night however after speaking with the cleaning staff the problem was corrected the next morning. Air con, TV , Hot water, bed were excellent. The rooms look aged with the wallpaper peeling however that didn't effect our stay. The Gym and pool are a welcome bonus. The gym equipment for guests is now located at the reception area for ease of access. We didn't eat at the hotel so cant comment on the food. 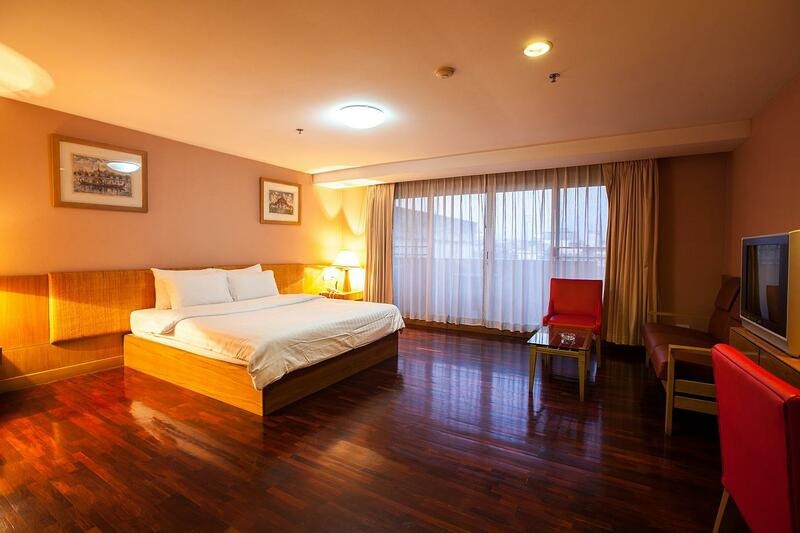 I would recommend Aiya to people need reasonable priced accommodating on that side of Bangkok. Located just few minutes walk from BTS. For some travelers the location of the hotel might not be convinent but it's a nice place for short term stay. Chose it for the gym and the pool. The location not in touristy area but near bts for my travel need. No restaurant on premises but lots of food stand and three 24hrs convenient store near by. Prepared my own breakfast and shrimp wanton noodles for dinner were cheap and delicious. Smoking room dated and not very clean not recommended, getting the non-smoking room or add some money for the deluxe room and smoked at the smoking area outside will be fine. But still the bed and pillow were comfortable and everything were functional. Walking in the one way street from the BTS to the hotel might be a challenge for some especially westerners as most part of the road have no sidewalks and you share the street with care and motorcycle, but for Asian it’s a way of life. I’ll be back. Pool is very nice. Room is old but still ok. Staff is kind. But location is uncomfortable. But for the money is best choice. Nice place, this is value for money. Pool ok, gym is great. BTS station close by. I chose this hotel because I was attending a weekend workshop and wanted to be close to the conference center. It was easy to get to from Don Muang Airport (bus and skytrain) and check in was easy. You can buy cold drinks and beer in the lobby which saves you a trip to the 7-11. Fridge in the room had a freezer for ice, a big plus. TV had English speaking news and movie stations, and the internet was good enough for what I needed (e-mail mostly). Lots of local eateries, just step outside and you'll have your pick of Thai fare. There's also a western style grocery store with cheeses, wines, artisan bread, etc. about 15 minutes walk north. Would definitely stay here again if I attend another conference in the area. Oh, and crisp cotton sheets, fluffy pillows and towels, and steamy hot shower. Very well located for our needs and close to the sky train. Non touristic area so be prepared to interact with locals, so speaking Thai at some basic level is important. Cleanliness and amenities are as described. Love the swimming pool. This hotel was a 5-10 minute walk from the skytrain. Because it was located in a non tourist area it was very quiet. The pool and fitness center were top notch. The restaurant though small was very clean and served good food. 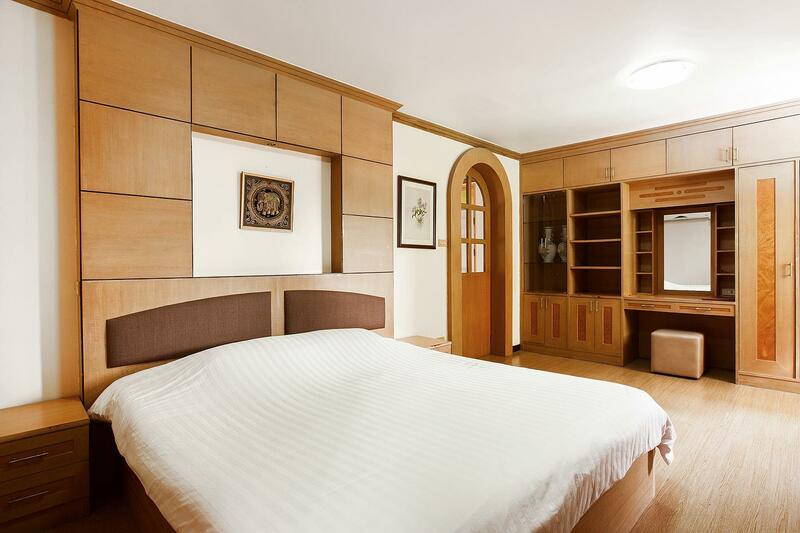 the deal i made via agoda was really reasonable, and the stay was beyond my expectation. everything was nicely arranged, and the lodging was located right next to private pools and a private beach. the hotel even offered me free voucher for dinning, and it was such a wonderful surprise! perhaps it was a bit remote up north side of pattaya, but that is not any issue for me as i didn't really focus that much on the night life downtown.